Saturday, February 16, 2019 at 9:00 a.m. Kick the New Year off with a Bounce. 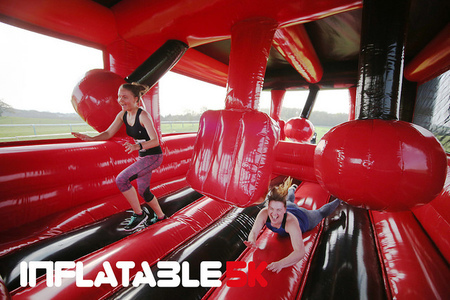 The Inflatable 5k is heading to Farnborough on the 16th of February 2019! The UK’s best Inflatable obstacle course has gone indoors! Our 10 mega-sized obstacles will be placed inside the massive Farnborough Exhibition centre, meaning the event will be weather-proof! The outdoor 5km run route frequently returns to the gigantic indoor obstacles as part of the route.